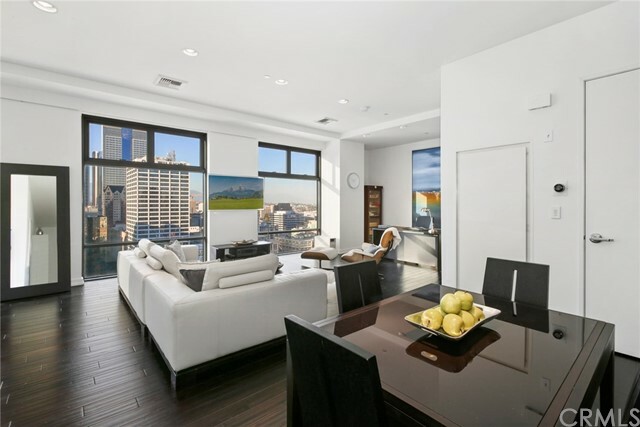 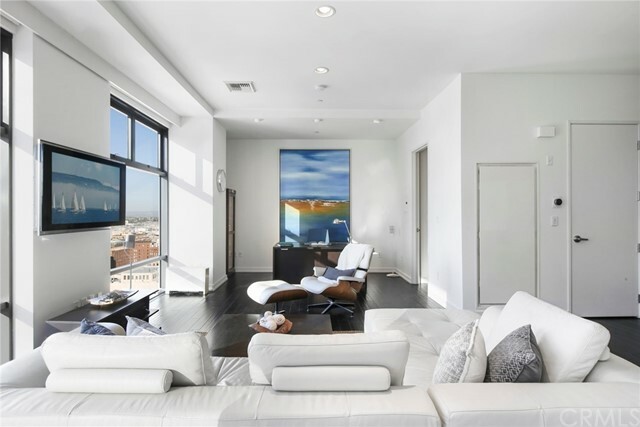 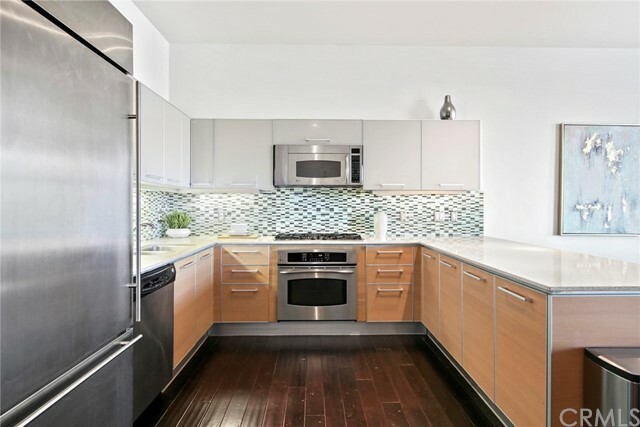 Situated twenty one floors above the vibrant streets of Downtown Los Angeles is where you'll find 801 S Grand Ave #2106. 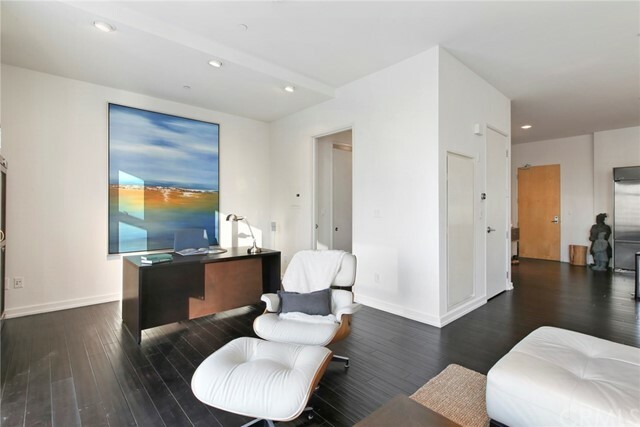 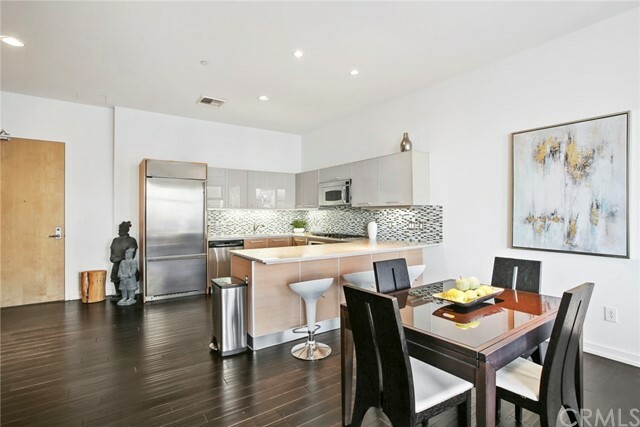 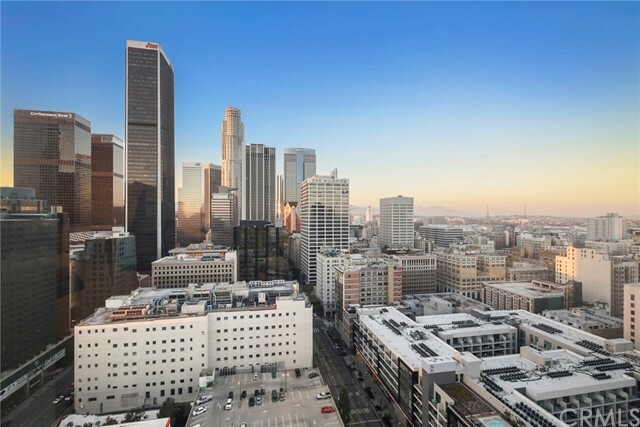 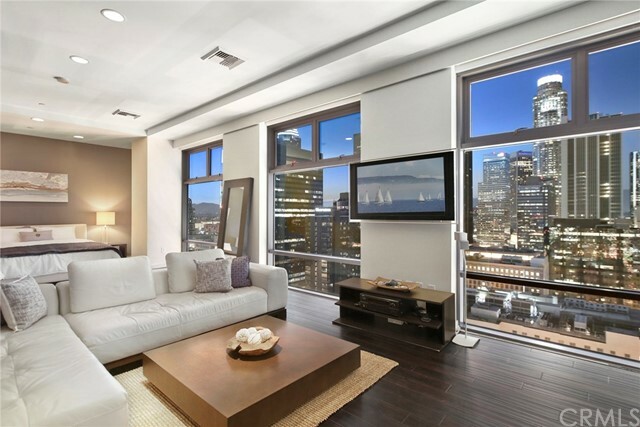 Located on the corner of Grand and Hope, this modern loft features 2 bedrooms, 2 full bathroom, 1,303 square feet of living space, with unobstructed views of the iconic DTLA skyline. 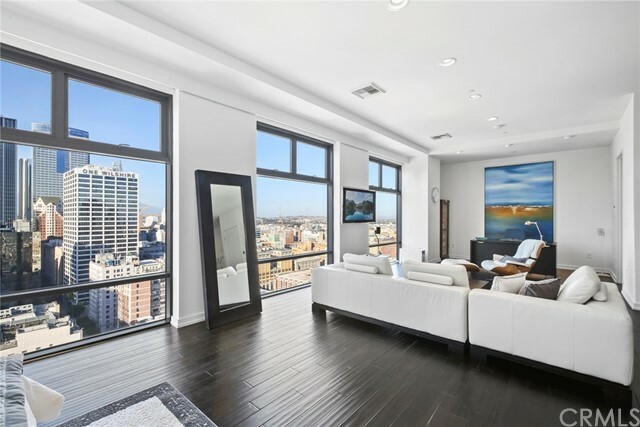 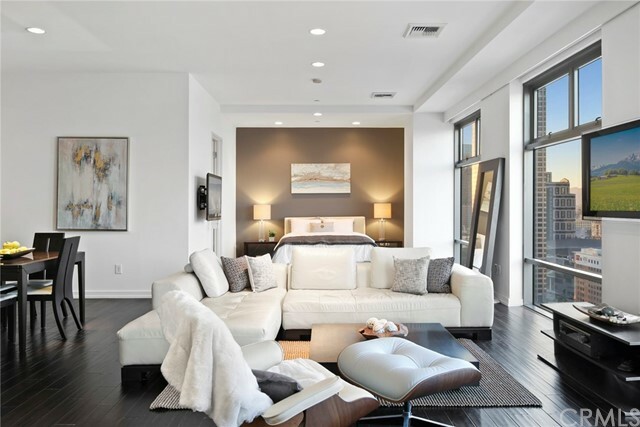 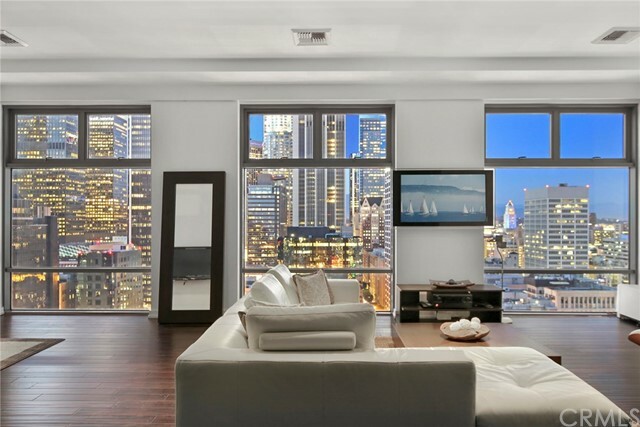 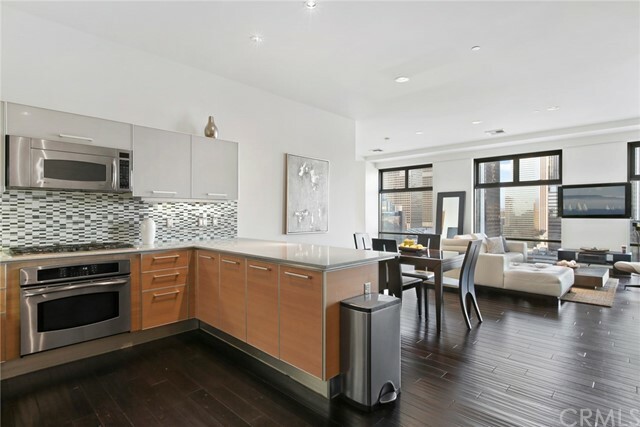 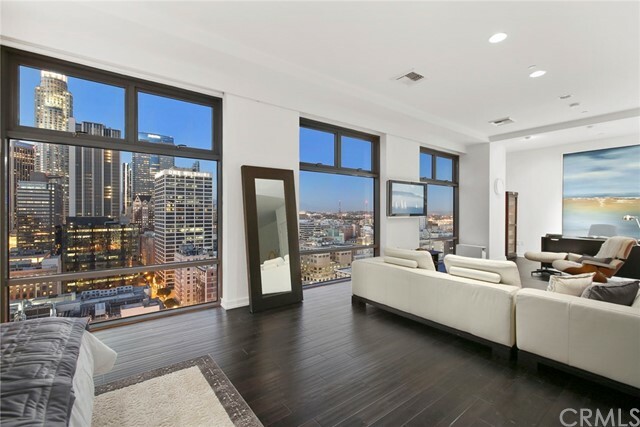 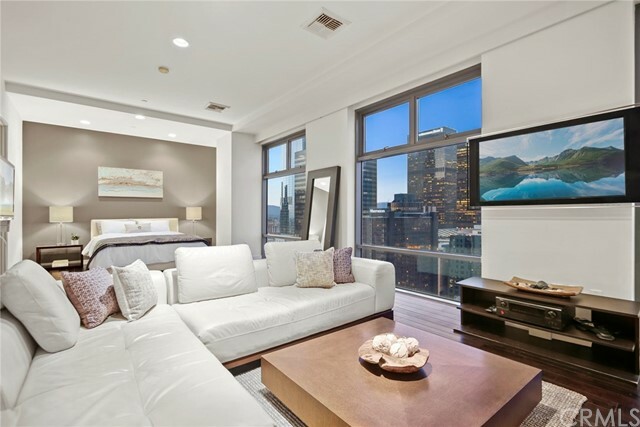 Whether you’re just starting your day or winding down, the 180 degree city views alone will make you appreciate the life you’d have in this home. 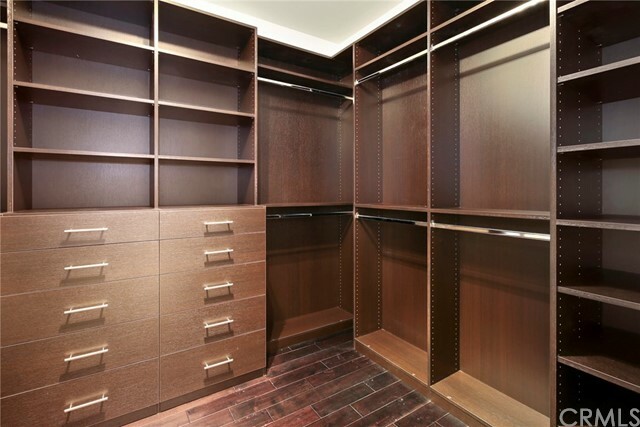 This sophisticated unit features tall 10 foot ceilings, additionally installed recessed lights, hardwood floors, breakfast bar, stainless steel appliances, 5-burner gas range, glass tiled back splash, Lutron automatic shades with wireless remote control, custom cabinets in the master walk-in closet, secure garage with two deeded parking spots, private lounge/study area, theater room and fitness center. 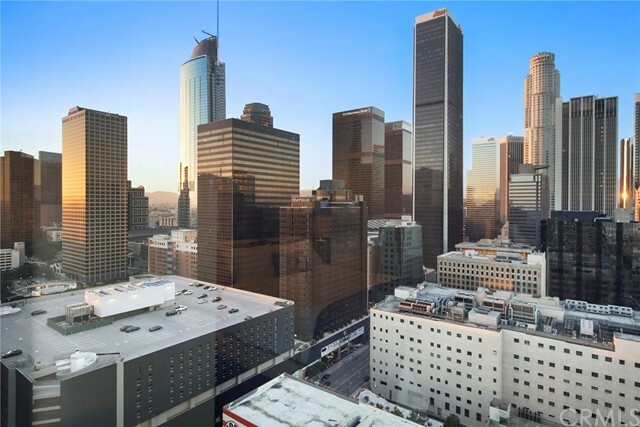 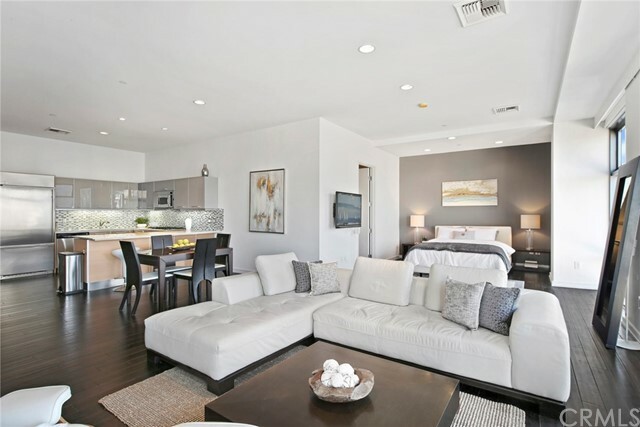 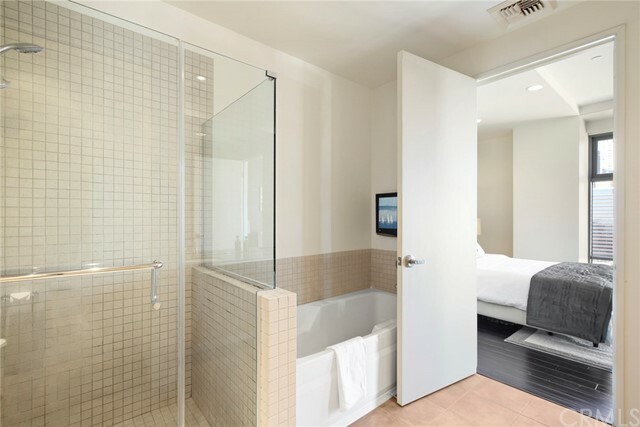 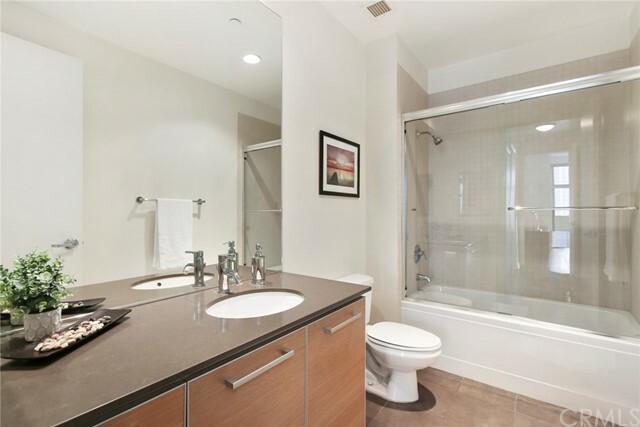 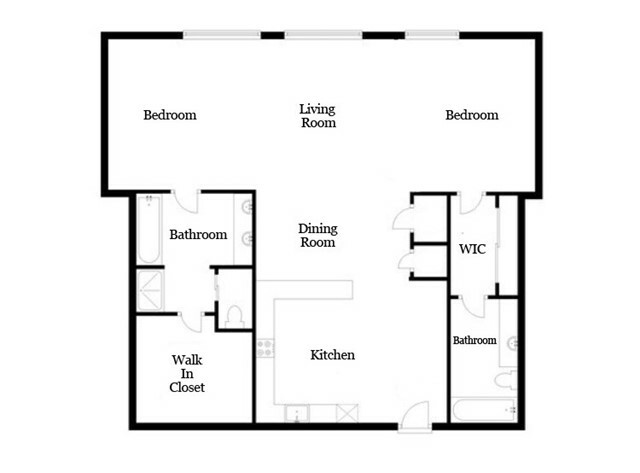 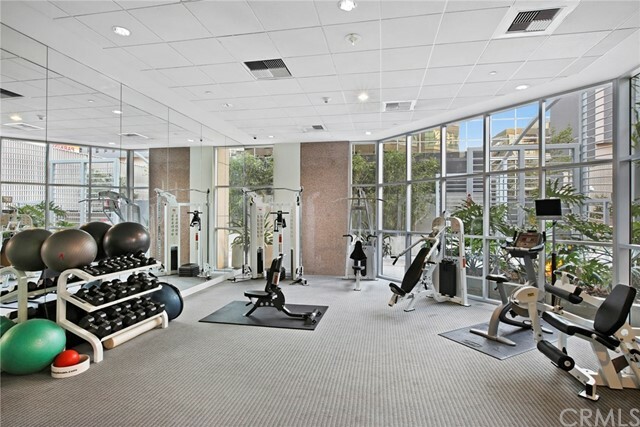 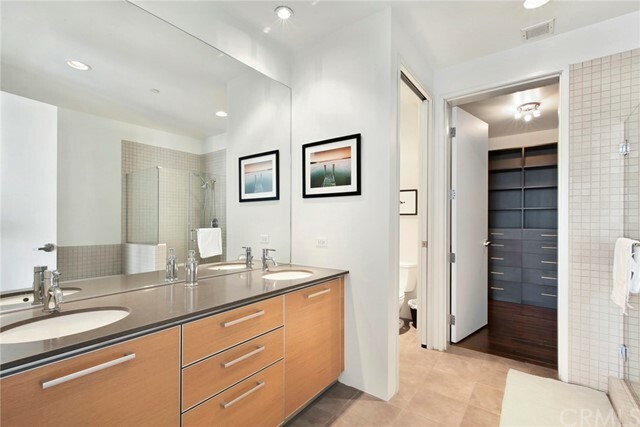 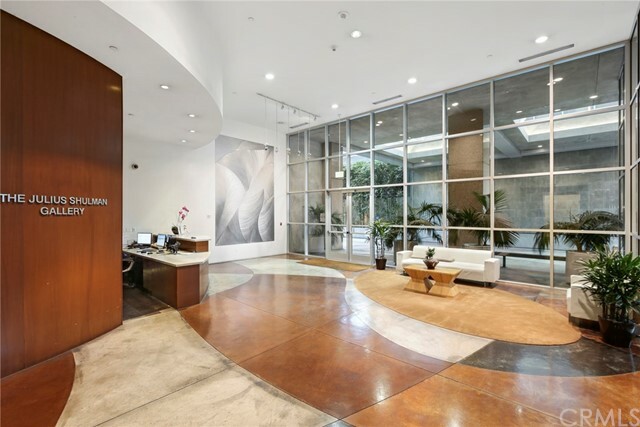 The property’s convenient location is a short walking distance to Whole Foods, The Block, Metro Station, Staples Center, LA Live and freeway access. 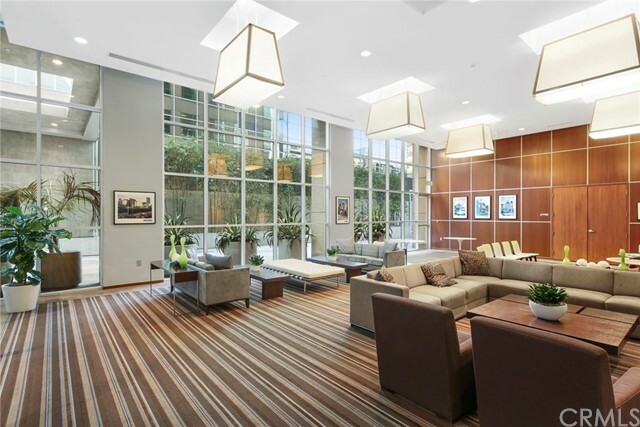 All HOA fees include water, trash, gas, insurance, 24/7 guard-monitored security and building maintenance.